In 1932, Herbert John Taylor crafted a simple measuring stick of ethics for employees of his struggling cookware company, a short code its 250 workers could easily memorize. The guidelines’ embrace helped rescue the business by marking it as a company with integrity. 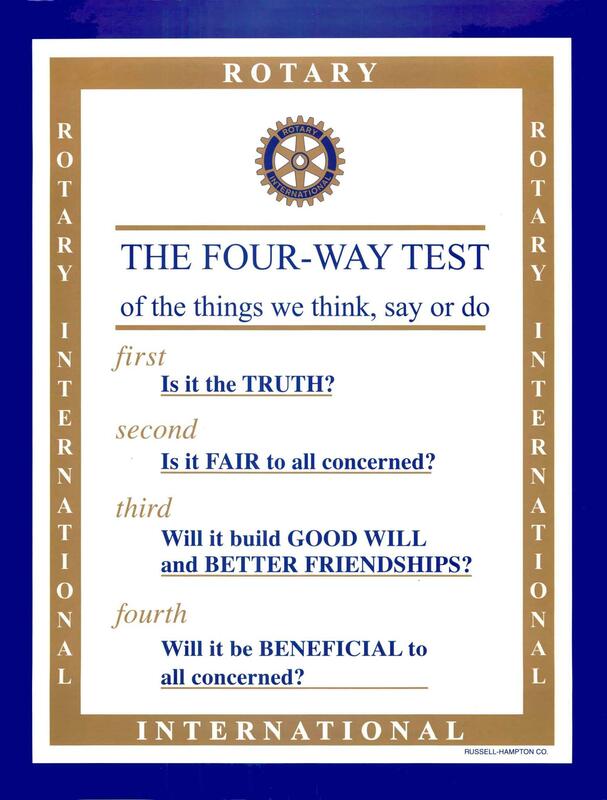 Eleven years later, The Four-Way Test was adopted as one of Rotary’s guiding principles. Taylor, RI’s 44th president, championed the code in all aspects of life. “Let us apply The Four-Way Test to our relations with youth, he wrote, “and then I am certain we will all become more determined to give as much as possible of our time.